Across the globe, early detection has been the focus of many breast cancer campaigns and in Saudi Arabia the focus has been no different, with the yearly launch of various public and private campaigns aimed at raising awareness in the community. This year, one man has joined the collective efforts in the Kingdom with his own unique brand of awareness creation. 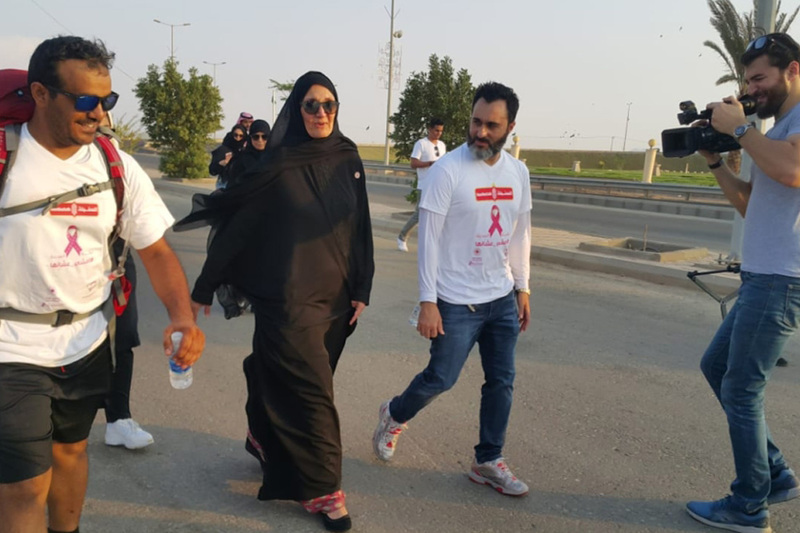 Late last week, Yasser Al-Humaid began a walk from Mecca to Medina while carrying the slogan “Walk With Her” in order to create more awareness around the necessity of early examination for breast cancer. 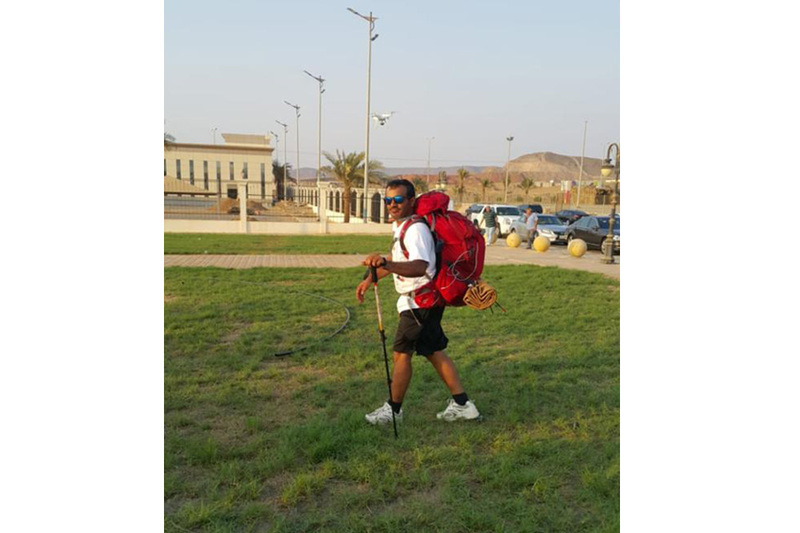 According to Saudi Gazette, Al-Humaid’s walk, which follows the Hijrah route, has been met with positivity. Along his trekking route, Al-Humaid stopped by the city of Asfan on Tuesday to meet members of the community, many who came to support his initiative. 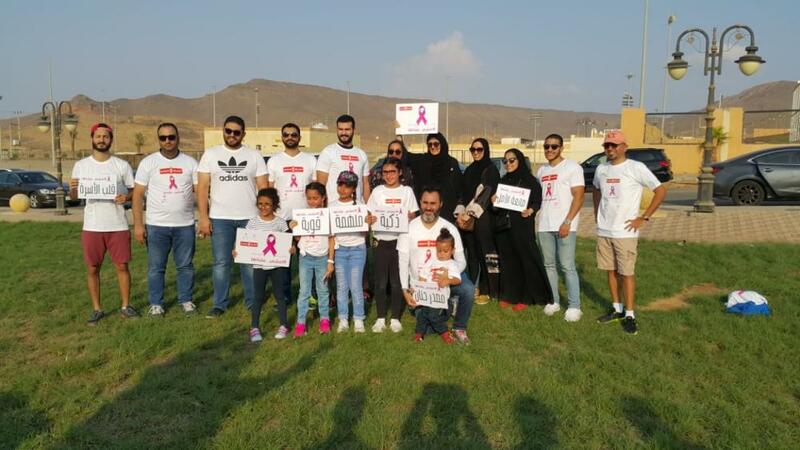 He was received by Princes Haifa Al-Faisal, chairman of Zahra Breast Cancer Association, Samer Ibrahim Kurdi, chairman of Sunbulah Group, and a large number of volunteers. Al-Humaid then continued his journey to Medina where he arrived on Saturday, October 27. 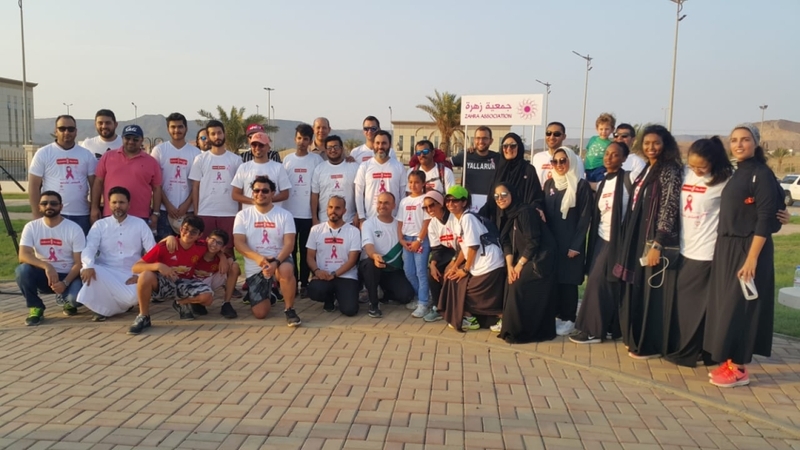 Through his trek, the young Saudi aimed to highlight the importance of community participation in efforts aimed at improving awareness around breast cancer and encouraging women to get tested early. According to the news site, the Zahra initiative was launched by the Sunbulah Group in collaboration with Zahra Breast Cancer Association to help raise awareness about breast cancer and to encourage women to get screened early. The campaign came as part of the larger nationwide breast cancer campaign, which lasts throughout October every year.